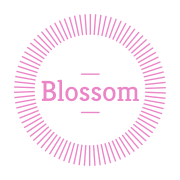 The idea to launch Blossom Project formed in 2016 as the founder was reading articles about the many hardships that homeless women endure. She was filled with deep compassion as she realized the added difficulties that homeless women face attempting to maintain personal dignity and good sanitary habits, especially during their monthly feminine periods. Since the summer of 2016, Blossom Project has made its mission to support homeless women, inspired as a response to the sizable number of women facing life on the streets invisible in the shadows of our communities. Would you recommend MARIN LINK INC- Blossom-Project?